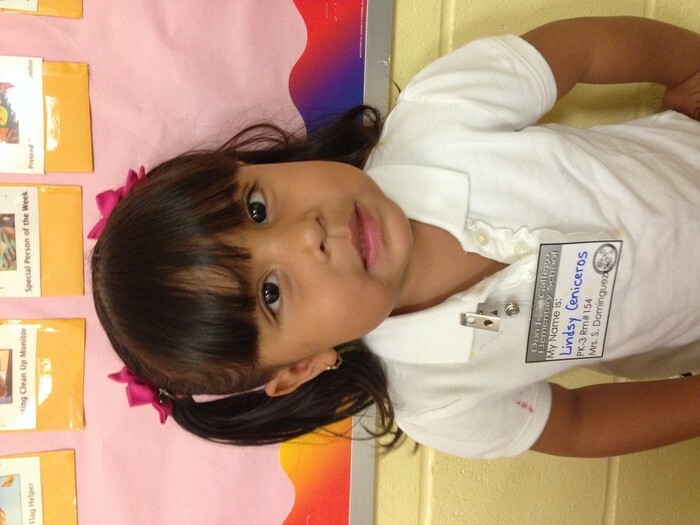 Lindsy is an outstanding student in my Prek class. She recently got 3rd place in the school since fair. She is doing great learning all her letters and sounds, and has perfect attendance for the year.